Details: The project is coming up at Baruipur in Kolkata spread over 4.02 acre of land. 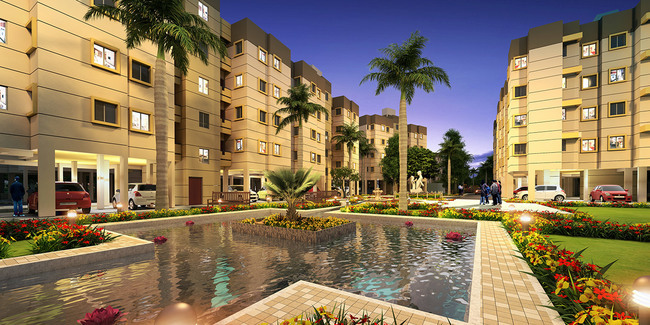 The project offers 15 towers with G+4 floors, having 224 units of 1 and 2 BHK apartments. The amenities include Landscaped Garden, Community Hall, Ample Car Parking Space, Elevator for Paban (2BR), Indoor game area, Kids play area, etc.